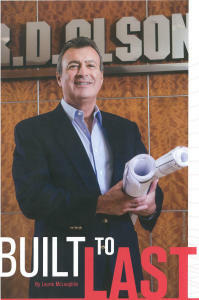 As the economy strengthens, the building industry has regained momentum, and Joe Cervantes’ Leadership has helped R.D. Olson Construction maintain a competitive advantage. Read our Executive Vice President’s entire corporate profile in his Alma Mater’s magazine here.